Interview: Queensryche; Playing at The State Theatre June 13th! Interview: Queensrÿche; Playing @ The State Theatre June 13th! Queensrÿche is an American progressive heavy metal band formed in 1982 in Bellevue, Washington. The band released twelve studio albums and continues to tour and record. To lay down the gauntlet further and keep the music he’s created over the past three decades alive, Queensrÿche vocalist and founding member Geoff Tate is taking the newly-announced line-up on the road. 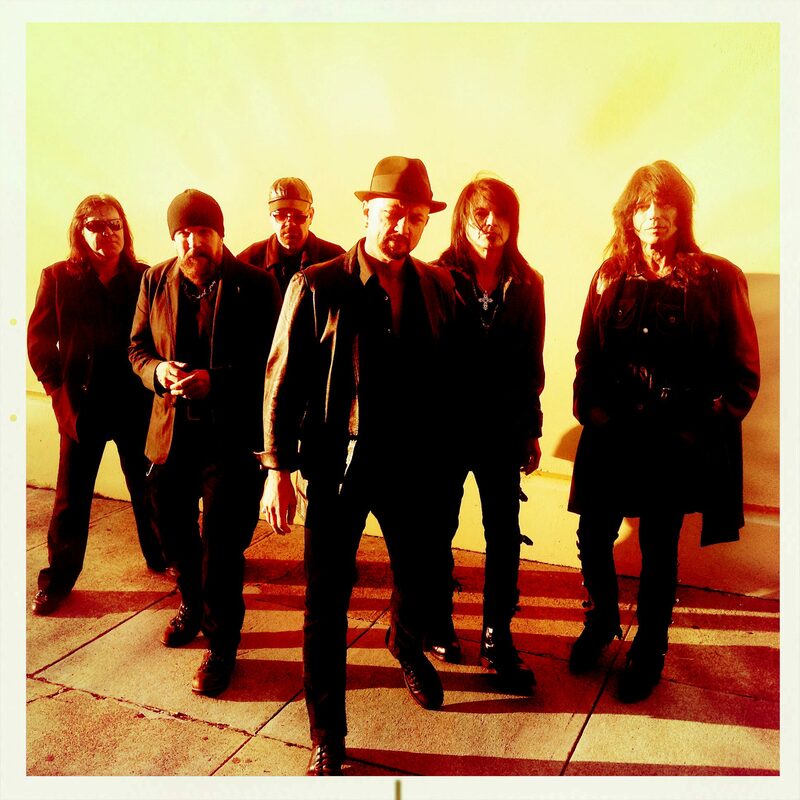 The current members of the band are Geoff Tate, Rudy Sarzo, Simon Wright, Robert Sarzo, Kelly Gray and Randy Gane. Queensrÿche is currently on tour to celebrate the 25th year anniversary of the epic release of Operation: Mindcrime in 1988, a narrative concept album that proved a massive critical and commercial success. So you guys recently released an album “Frequency Unknown”, how was the recording process for this album different from the rest? It’s a whole different bunch of people recording. Four of us got together to write the record. We wrote the songs and thought it’d be really fun to have a bunch of different people play with us on the recording. It was a very fun record to make. Of course working with all these great players was really a treat. This tour is celebrating the anniversary of Operation: Mindcrime, did you ever imagine that 25 years ago that you’d be here today still touring and bigger than ever? Well it’s not something I really thought about much, as a writer and performer you don’t really think about those things. You just kind of do what you do. You find yourself working in these wonderful situations like I am right now working with these great players and I’m just having a great time. Playing this music is really a treat to me because it’s a band of people who are really into it and are really excited about playing the music and bringing their own interpretation of the music into the arrangements, it’s fantastic and powerful. Every night I look around the stage and think that I’m so glad to be here. What is the most exciting part of touring for you? I like touring a lot, I like traveling, I like going to different cities, I love the conversations I have with people I meet along the way and I love performing so it’s a win-win for me. I love it! How do you connect with a crowd when playing a live show? I think what draws the crowd in is the passion that you bring into your performance, if you’re really feeling the music and what we call channeling it where you get outside yourself and become part of it. I think that’s really infectious for an audience and they really pick up on it. You guys have played so many shows around the world, do you still have that one venue or dream gig that you want to play or have you already played it? Every gig is important to me. Every show and every performance I take very seriously and I try to make the best of each one and each one is different. With a whole set of challenges, the room itself is a challenge trying to get your sounds as pristine and exact as you can. What has been one of the funniest moments you guys have has as a band on this tour? Pretty much this is a band of very professional players who take this very seriously so there are not mistakes that are really funny that occur. Our new drummer sat in with us for the first time and I asked him to take a drum solo and he said he’d be glad to. He started playing this drum solo that brought everybody, including the band, to the edge of the stage and everyone was just enthralled watching him play. It was a very unique drum solo, there’s some really amazing things that he does and none of us in the band had seen him do it yet and it was his first show with us and we’re all on the side of the stage with our jaws dropping hearing him play this stuff, it was pretty amazing. Can you name three songs on your playlist that you’ve been listening to lately? Well as a writer I’m pretty wrapped up in what I do. I’m working on a record right now so I’ve been listening to a lot of that. So that’s kind of where my outside focus is right now. Have you guys had any crazy fan encounters on this current tour? We have a meet and greet every night where we meet the fans before the show. We sit and talk, sign autographs and photos and things like that. Those things are really interesting because you get the first-hand feedback from people. There’s a lot of emotion in it and a lot of times people tell you these fantastic stories of where they were the first time they heard a song of yours and how that music affected them and I love hearing that. As a writer you have your own idea of what your saying and a story that your telling but that story can be interpreted so many different ways. You never know how people will hear it because we all hear music differently. What’s the plan for Queensrÿche after this tour? I’m working on a new record and I hope to have that recorded and out by the end of the year. So when the tour ends sometime in October, then we’ll hit the studio and start recording. Don’t miss out on Queensrÿche at the State Theatre on Thursday, June 13th for the 25th Anniversary tour!